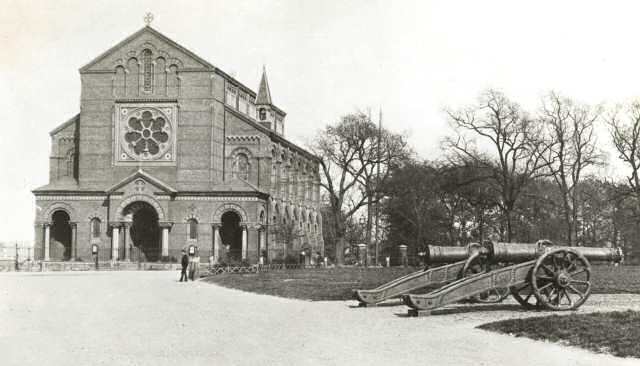 St. George's Church was the garrison church of the Royal Artillery. Built in 1863 to the designs of Thomas Wyatt it was bombed in 1944 and survives today as a restored ruin. Its splendour, however, is still apparent.